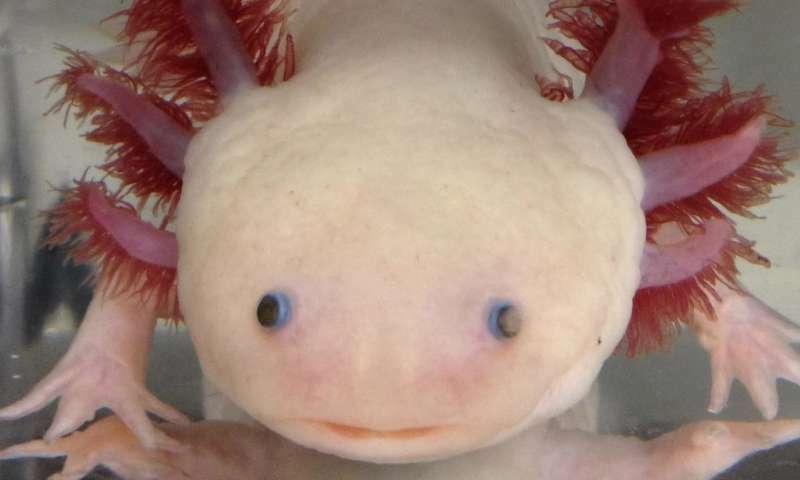 The axolotl, also known as the Mexican salamander, shows a remarkable ability to regenerate nerves after damage. Credit: Karen Echeverri, University of Minnesota. More information: Karen Echeverri will present this research on Sunday, April 22, from 3-3:30 p.m. in Room 11B, San Diego Convention Center (abstract).